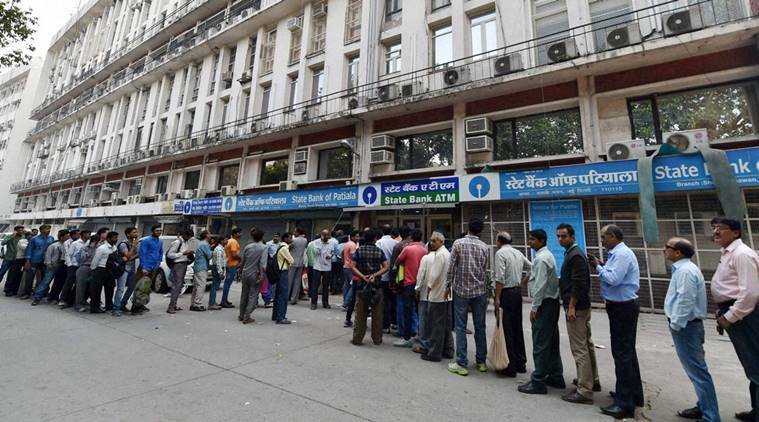 You are at:Home»New»Demonetisation a failure: Really? Lazy journalism has resulted in painting an incomplete picture of what demonetisation really means for the Indian economy, writes India Inc. Founder & CEO Manoj Ladwa. There is a large section in the Indian media (and I include the India correspondents of many western agencies and publications in this basket) and some of India’s so-called intellectual elites that have made it their mission to find fault with and pick holes in whatever the Narendra Modi government does. There is another, smaller, lot that pulls in exactly the opposite direction. In most cases, the truth lies somewhere in between the extreme opinions of the two camps. The recent release of the annual report of the Reserve Bank of India (RBI) gave both sides ammunition to carry out their proxy war. Demonetisation has failed, screamed the first lot, with a lot of self-congratulatory analysis on how their predictions of economic doom had been allegedly borne out by the RBI report. Nonsense, shouted the other group, but by most accounts, their voice has been drowned in the din. But what is the primary evidence for this latest bout of competitive chest thumping? The RBI annual report said 99 per cent of the currency demonetised on November 8, 2016 had been deposited in banks and had been exchanged for new currency notes. a) All or most of the alleged black money in the system was back in circulation, thus, defeating the government’s objective of snuffing out unaccounted cash. b) The government’s goal of gaining a windfall of about $50-60 billion from extinguished currency notes (those that would not be returned) has not been achieved. c) The government’s alleged intention of using this windfall for expenditure on social welfare and infrastructure building has come to nought. d) And, the pain suffered by the people in anticipation of this cumulative gain to the economy has been in vain. Therefore, a section of the media shouted, demonetisation had failed. Even the venerable BBC echoed this sentiment. I would say I have great respect for the BBC as an institution. But I cannot help but say that this report is a prime example of lazy journalism, where the reporter concerned has let his audiences down by substituting facts with opinions. After all, it is much easier (and dare I use the word “sexier”) to tom-tom the alleged non-return of $50-60 billion to the government’s coffers than to do a detailed cost-benefit analysis of a complex multi-pronged exercise, of which demonetisation is only one part, to tackle and eradicate a deep rooted and hydra-headed monster like black money. 1) Was the extinguishing of a part of the currency in circulation the objective of the demonetisation exercise? 2) More importantly, was it the only or even the most important goal? It is while answering these questions that I concluded that those accusing the government of failure have cherry picked facts – accepting only those arguments that supported their hypothesis and ignoring other, stronger ones that proved them wrong. Let us now go back to that fateful night of November 8, 2016 when Prime Minister Modi made an unscheduled address to the Indian nation at 8.00 pm IST and announced his bold plan to withdraw Rs 1,000 and Rs 500 notes, accounting for 86 per cent of the value of currency in circulation, from midnight, i.e. in less than four hours from his announcement. Not once in his speech did he mention anything about notes being extinguished. He spoke about how the action would curb the shadow (black in Indian parlance) economy, encourage digitisation of transactions and help the government crack down on illegal funding and terrorist activities. Later, Finance Minister Arun Jaitley spoke of how in India, the cash in circulation was about 12-13 per cent of GDP compared to 4-5 per cent in developed countries and that the government was hoping to bring this ratio down to about 8 per cent. He added that as more transactions came into the banking system, they would leave a digital trail, making it difficult to evade scrutiny. Thus, more transactions would come into the tax net, increasing the tax base, improving the tax to GDP ratio, increasing GDP growth, boosting government revenues and lowering the fiscal deficit, leading to higher expenditure on defence and rural infrastructure, he had said. “Anonymity of money is gone with demonetisation as the money has come into the banking framework and becomes part of the formal system leading to strengthening of banking,” the Finance Minister had added. The only, albeit oblique, reference I could find to any government official speaking of money not returning to the RBI was when then Attorney General Mukul Rohatgi told the Supreme Court that Rs 12 lakh crore (about $180 billion at the then prevailing exchange rate), which exceeded the government’s estimates of cash that would be returned, had been deposited in the banking system. You will notice, even here, there is no mention of extinguishing the notes in order to generate a windfall for the RBI, which could then be transferred to the government as dividend. So where did that argument come from? I have, in the past 24 hours, gone through dozens of news articles and analyses on demonetisation. This was a theory floated by some analysts and experts. This was lazy analysis but, perhaps, because of the huge amount involved, became common currency and the accepted wisdom on demonetisation. Now, let us look at the real positives that have flowed from demonetisation and measure them against the goals set by the Prime Minister and the Finance Minister. At the end of 2016-17 (year in which the demo initiative was undertaken), the income tax payer base increased substantially to 62.6 million from about 40 million earlier, according to the Central Board of Direct Taxes. Then, more than Rs 3 lakh crore (more than $45 billion) entered the banking system for the first time. The trail left behind by this money and the improved use of data analytics methods have led to the identification of about 200,000 shell companies that are now under investigation for their role in generation and circulation of black money. According to data available publicly on the RBI website, the volume of overall digital payments in the Indian economy grew almost 70 per cent to 10,740 million in 2016-17 from 6,337 million in 2015-16 – a sharp increase over the growth rate of 54 per cent over the previous four years. Mobile banking, too, has grown a phenomenal 150 per cent in volume and 224 per cent in value terms in 2016-17 over the previous year. Now, let us come to terror funding, the other point made by the Prime Minister in his November 8, 2016 address to the nation. Is it a coincidence that in the months following demonetisation, a sting operation by a TV channel exposed the hawala (illegal and unofficial cross-border financial transactions) racket that channelled millions of dollars of unaccounted money to separatist leaders in Kashmir to finance the so called “popular street protests” against Indian authorities? Is it also a coincidence that incidents of stone pelting by unemployed youth at Indian security forces has witnessed a dramatic decrease in the months following demo? And what about Naxalite violence in central and eastern India? There hasn’t been a single major Maoist attack since November 8, 2016. The evidence is compelling. But if some people choose to deliberately ignore it, then good luck to them. And finally, before I end, I would like to point out that the fight against black (unaccounted) money is not a single-pronged campaign. Demonetisation was just one arm of a pincer attack. The other arms are GST, which forces businesses to create a digital trail of transactions, and the Benami Properties Act, which clamps down on real estate transactions made in the name of third parties. These actions are ongoing and will doubtless face roadblocks from vested interests and criticism from the Opposition. But the important thing is that the battle has begun. And for a change, there are many people who believe the government is winning. The huge popular support for the Modi-led dispensation in the Uttar Pradesh elections and the return to the NDA of Bihar Chief Minister Nitish Kumar prove that. So, the next time you come across a news item, such as the recent BBC report on the alleged failure of demonetisation, please remember, lazy journalism can afflict even the best agencies in the world.